VoCore Forum • View topic - Install software on Vocore? Re: Install software on Vocore? I just had to change the opkg.conf files to a different repository. I deleted the lists opkg made, rebooted, and then did opkg update. 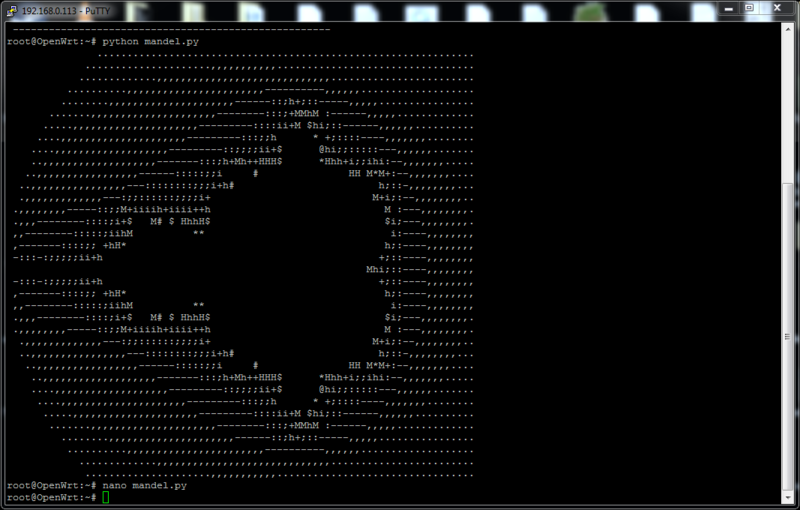 Python 2.7.10 works now, and I rendered a mandelbrot set fractal! chars = " .,-:;i+hHM$*#@ "